I am on hidden Mickey pin watch for when the next sets (previewed at LIAA) start appearing in the parks. I believe... The current set of hidden Mickeys started appearing in January, 2017. 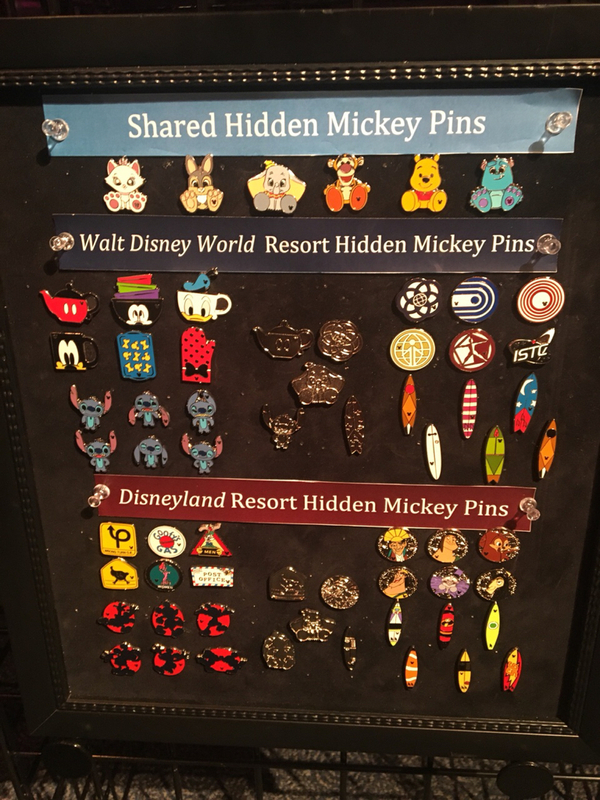 Anyway, if you come across any of these pins, please post here when the next sets for DLR and WDW are spotted in the parks. Also, since I do not post photos to dpf... If anyone could add pins of the next sets, it would be appreciated. Late Addition 20Jan2018: Trying out the DPF poll feature. Vote for your favorite 2018 HM set! Def need to get that dumbo! Story, Sami and TheMickeyMouseRules like this. I don't think the 2017 pins came out until mid to late January. I have been anticipating them for months. Well... here's hoping this year the cast members decide to push them out sooner. Thanks WSB! That entire set is adorable. Can't wait! I still can't tell if that pink striped surfboard from wdw is a Cheshire or not. If it is, then I'll need it! There's ones for the rest of them as well, just not on the website yet. Most of those surfboards are completely unidentifiable to me. I can make out Baymax, Incredibles, Nemo and maybe Peter Pan. Have no idea what the other ones are. When these do show up, if anyone grabs an extra set of ENG pins, or even just Kronk and the squirrel, feel free to send them my way. Just throwin' it out there. Agreed... i do see Socerer Mickey, chip and Dale... And maybe Mike from monster's Inc? Is it possible that the "Baymax" one is Eve to go with WALL-E? I was also thinking the "Mike Wazowski" one looks a lot like the Tinker Bell lock and key pins, so maybe that's to go with the Peter Pan?? Mmmm...I don't think so. The white one has Baymax's eyes (two dots with the line connecting them) and round chest port instead of EVE's black circle face, and the green one sure looks like that's Mike's eye (and I would think Tink would have wings or pompoms or pixie dust sparkles or something Tink-ish). Plus, I think it would be odd for them to do five Disney characters with one Pixar one in one set and five Pixar characters with one Disney one in the other set. It's definitely Baymax, since it has his little eye marks, if it were EVE the eye shield would be bigger. I'm also still gonna say it's Mike, because of the eye, but also, all the DLR surfboards are Pixar characters, likely to go with our "Pixar Pier" retheme. OK, but what's going on in the Sorcerer Mickey one with the three triangles in the red area? To each their own, of course but I really dislike these, lol. I think those are supposed to be the fins on the underside of the board. Those surfboards are cute, glad they make sense now! I couldn't figure them all out, I thought the wdw green one was Robin Hood, but Peter makes sense too. Threw me cause they both have red feather in their hat. Maybe it is Robin Hood. I'm leaning toward that now that you mentioned it. Haha... Grass is definitely greener syndrome... since I thought WDW has the better HM. I mean really... WDW has a whole collection of Stitch! And even thought DLR has a whole set of Mickey (yay!)... will definitely need the Mickey HMs from WDW. Glad to hear we didn't burn you out with last years HM pick-ups! Looking forward to participating!